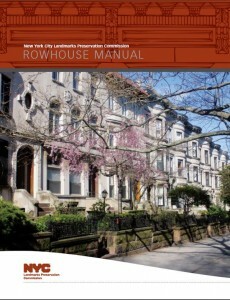 The Landmarks Preservation Commission has updated and revised its "Rowhouse Manual," a guide designed to help the owners of rowhouses in New York City’s historic districts preserve and maintain their remarkable homes and work successfully with the agency when exterior alterations are needed. This manual outlines the items that LPC considers ordinary maintenance that do not require Landmarks permits and it outlines the items that do require Landmarks permits. Download your copy here.